Описание: New Inside Out - многоуровневый курс английского языка нового поколения от издательства Макмиллан для изучающих английский язык на курсах или в высших учебных заведениях. Каждый уровень курса рассчитан на 100-120 часов аудиторных занятий. New Inside Out takes all the best features of the original series - including the personalized speaking tasks and great topics - and adds a host of brand-new features to make it even more engaging for students and teachers alike. To make Inside Out better for you, Sue and Vaughan went back to the classroom and spent time finding out how Teachers were using Inside Out with their students. The result is the most relevant and exciting general English course available. What's New in New Inside Out? Useful phrases - a language bank of practical English, built up unit-by-unit, to provide students with the key language they need outside the classroom. Vocabulary Extra pages - Recycles the key vocabulary from the previous unit and provides the student with a wordlist of useful vocabulary to refer to. 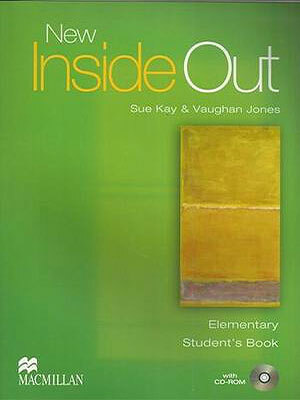 Grammar sections - New Inside Out provides the support teachers need for the effective teaching of grammar. There are two comprehensive grammar sections in every unit. In addition, students are referred to the Grammar Extra section at the back of the student's book for extended explanations and practice. Clear signposting - New design features makes navigating round the page even easier, with colour-coded, concise headings. New CD-ROM - Multimedia CD-ROM included with every student's book, for self-study or use in classrooms. New DVD - Class DVD contains 7 units which complement the topics in the student's book, with a mix of formats including documentaries, interviews and profiles. The DVD Teacher's Book contains related teaching notes and worksheets. The comprehensive all-in-one Teacher's Book now contains grammar notes, methodology sections and photocopiable resources, in addition to full lesson plans for each unit. - Supports the work covered in the Student’s Book and provides extra practice and revision for each unit. - Provides extra listening practice and comes packed with an AudioCD. 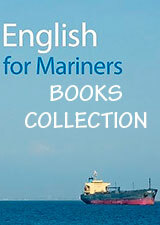 - Includes a complete self-contained writing course. - A complete story for extra reading practice is included in the back of each workbook. УМК New Inside Out состоит из 6-х уровней сложности: Beginner - Elementary - Pre-Intermediate - Intermediate - Upper-Intermediate - Advanced.